Paying for your child’s school fees? How about paying the maintenance fees of the condominium you leased out? No matter how much we try to do everything online, sometimes we just cannot get away with issuing cheques for payments. However, let’s be honest. The interest rate on most current accounts are a joke, if there is any interest to be earned at all. Current account holders can deposit and withdraw from a current account at any time without giving any notice. They also get the important advantage of overdraft facility. However, current accounts generally do not come with an attractive interest on their balance lying in the account with the bank. In this day and age, is it still wise to use a current account that earns you a pittance of interest? What if we told you there is another way to enjoy the facilities offered by a current account and earn more on top of that? If you want to earn interest, don’t use a current account to keep your money. That was pretty much how everyone thought. However, that can change with a high-yield current account. High-yield current accounts offer higher rates than other regular current accounts but usually carry more requirements, such as keeping a minimum balance every month. Typically, you may be required to keep at least RM25,000 in your current account in order to earn about 0.60% per annum in interest. How much will that be in 12 months? Not much is it? And if you just had RM5,000 in your current account, you would have gotten nothing at all. Now, imagine if you could earn extra 1% interest by doing what you usually do on your current account? The Maybank Premier 1 Account gives you the best of both worlds by offering the flexibility of a current account, while letting you earn attractive interest rates. The prevailing interest is calculated on a daily basis and interest earned will be credited into this current account every month. By maintaining any amount more than RM5,000 in your account every month, you stand to enjoy extra returns of up to 2% p.a. on incremental balance growth of between RM1,000 to RM250,000 in your Premier 1 Account when you transact with your Maybank Credit Cards and pay bills via Maybank2u. For example, if you have RM6,000 on June 30, 2015, you must maintain an Average Daily Balance of at least RM1,000 by the end of every month, until December 30, 2015. In this example, you earn an additional RM137.73 in six months by doing the same thing you’ve been doing all along. Isn’t that sweet? With RM1,000 in fixed deposit at Board Rate (part of the requirement), you’ll see yourself earning an additional RM21! Going beyond your normal current account, Maybank’s Premier 1 Account also offers free personal accident insurance and the privilege to apply for an unsecured standby overdraft facility. If you think you’ll have trouble meeting the requirements, especially in meeting the required incremental growth every month, you may be better off with a savings account. Failing to meet the requirements will not earn you the top rate, and you may end up with zero earnings. 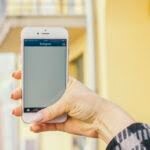 However, if you are a regular user of a current account, and money goes in and out by the thousands, this is the perfect way for you to get rewarded for your usage. 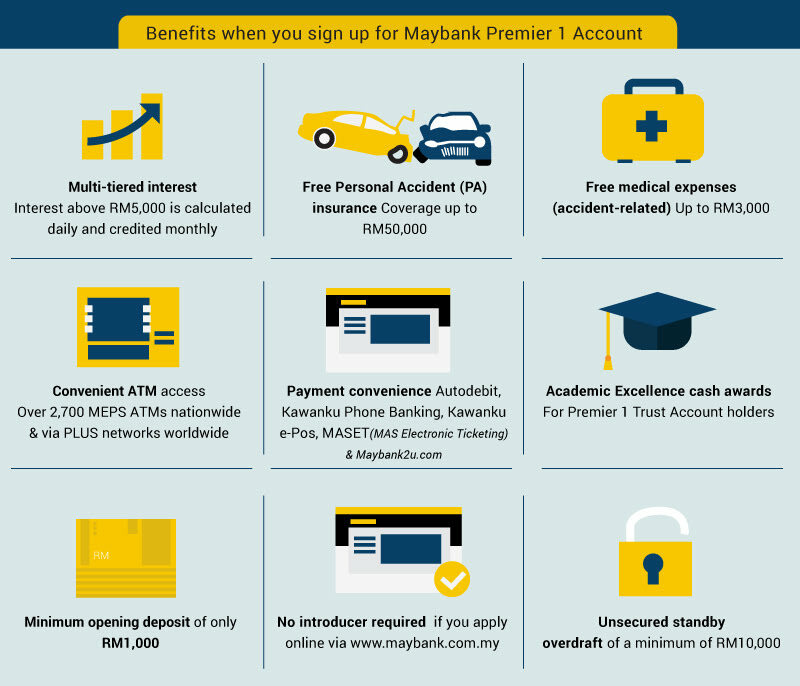 Perhaps the most appealing aspect of the Maybank Premier 1 Account is that it lets you leverage on your everyday expenditures such as utilities and living essentials, by giving you financial rewards while you’re at it. And in today’s volatile economic climate, every little bit you get helps. Learn how you can make your money work even harder for you with the right credit card. 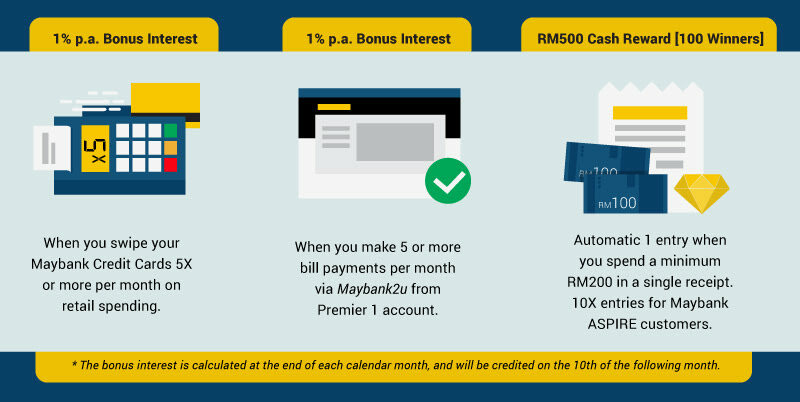 Get started on your savings with the Maybank Premier Account now! * The campaign lasts till December 31, 2015.